VR is an ever-maturing medium, but it's still not a totally mainstream one. It's becoming clearer and clearer, however, that standalone headsets could be the big ticket to get VR into the homes of millions of ordinary people. We're talking about headsets that don't need a phone or PC to power them. Everything is built right into the device – display, processor, sensors, connectivity, battery, cameras. Over the past couple of years, these have been the domain of lesser-known upstarts. That's changing quickly though, as Google, HTC and Facebook's Oculus have made their entries into the world of standalone VR. Why not? The promise of standalone VR headsets is that it fits into a tidy gap between two different worlds – the wireless freedom and ease of use of mobile VR with the power and pixels of high-end VR. Or, well, that's the theory, but it's a theory we're seeing play out. One of the problems with VR from a mass-appeal standpoint is barrier to entry. High-end headsets like Oculus Rift and HTC Vive may have seen price cuts recently, but they're still upwards of $400. That's before you include the not-so-hidden cost of having a high-end gaming PC to power the thing. It's why PlayStation VR has led the way in sales amongst the Big Three. Plenty of people already have a PlayStation 4, which makes it much easier to jump aboard. Not everyone has the space, need or money for a high-end PC. But everyone does have a smartphone, so what about mobile VR? While mobile VR is certainly convenient and affordable, the experience pales in comparison to the higher-end stuff. Sometimes, it even feels like a completely different experience. Also, do you really want to keep charging your phone for VR when it tends to be your lifeline for so many other things? And what about if you have a family and want to be able to easily pass it around? Can you do that without your phone? Microsoft is trying to bridge the gap with Windows Mixed Reality, which lets almost anybody with a Windows PC jump in on the virtual reality fun, but that's just started so there hasn't been a lot of momentum – yet. There's also a major problem with them at the moment: they're wired. The major convenience of standalone headsets is that everything is built in. You don't have to worry about plopping your phone into a headset, or setting up your area for room-scale VR. Or, you know, having a wire tether you to a box. Maybe you just want the freedom to walk around in another reality. Google made a big push toward standalone headsets, announcing that its once-mobile Daydream platform was going to power headsets from HTC and Lenovo. The former, however, has abandoned Daydream for its own platform and its own headset, the Vive Focus, which will get a global launch later this year. Then there's Oculus Go, Oculus' budget entry into the standalone field. The $200 headset is also coming later this year, probably before the Vive Focus, and thanks to the immense resources of Facebook, it feels like a standalone headset that could push through to the mass market. The Vive Focus has potential to do the same. Meanwhile, Google and Lenovo have the Mirage Solo. All three of these headsets are expected this year, but it looks like price could be a differentiator. The Mirage Solo will launch for less than $400, though Lenovo is staying vague for the time being as it originally announced a $450 price point before realising that was too steep. We don't have a price for the Vive Focus yet, but it too is likely to be pretty high – or at least higher than the Go. While the Go will have the price advantage, it's not as feature-packed. It doesn't have the 6DoF (degrees of freedom) that the other two have, instead sporting 3DoF. That basically means that the Mirage Solo and Vive Focus can replicate the room-scale tracking that the Rift and Vive offer, but without the sensors lined around your room. There is parity in their remotes, however, as they all sport 3DoF there, so no support for depth when moving your hands around. The Go and Mirage Solo both sport a combined resolution of 2,560 x 1,440, while the Vive Focus has a crisper resolution of 2,880 x 1,600, which is the same as the high-end Vive Pro. There's also the Qualcomm Snapdragon 845 reference headset, which will be used by numerous companies to build their own standalone VR headsets in the next couple of years. The Vive Focus, for instance, is built from the Snapdragon 835 reference headset. These headsets are good, but what about the big stuff? That is, what about the unicorn that is Oculus Santa Cruz? In our time with the Santa Cruz, we've found it to be an excellent experience that largely takes the immersive nature of a PC-powered Rift and brings it to a standalone form factor. Think of Santa Cruz as more of a Rift 2, but with the freedom of not having to be tethered to a computer – wired or wirelessly. The only problem with Santa Cruz is that the technology isn't ready yet. It's also likely to carry a high price tag, which would mean that it won't be as accessible as we'd hope. Regardless, Santa Cruz is the vision of VR we have always been promised. It's the pinnacle, and there doesn't seem to be a competitor on the horizon for it, yet. Sure, there's the HTC Vive Pro with a wireless adapter, but that isn't a true standalone headset. We do know that Oculus is developing a spectrum of different VR headsets, and that we'll likely see more news about these after the Go is released. One thing is for sure: you may not want to expect Santa Cruz this year. None of these developments are a surprise; the pursuit of truly standalone headsets has been bubbling away for a while and not just at Oculus. In early 2016, Samsung's head of R&D Injong Rhee indicated that it was developing dedicated VR headsets that wouldn't require one of its Galaxy smartphones, featured positional tracking and would also include hand and gesture tracking at some point. It looks like we've had our first glimpse of one of these, the Exynos VR 3, which popped up at Mobile World Congress Shanghai last year. 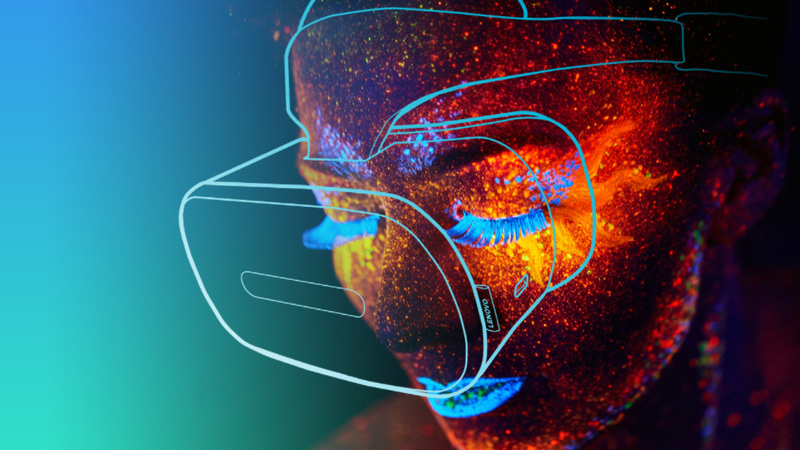 Late in 2016, Qualcomm unveiled the VR820 untethered reference headset, which rocked an AMOLED display with 1440 x 1440 resolution per eye, Qualcomm's 820 mobile processor and a low 18ms latency. At the same time, it hinted at its close relationship with Google and powering a category of new devices. Now, we know that hinted partnership was standalone Daydream headsets, though the likes of Oculus and HTC have also worked off Qualcomm references. As for the search giant, Google's own efforts date back to 2016 at least, when it was rumoured to be building a standalone VR/AR headset with eye and positional tracking. Intel was also interested in standalone VR, with its Project Alloy VR + AR reference device, though sadly that's now six feet under. How much money do you have to burn? If you're really interested in standalone VR, the Oculus Go seems like it could be a tempting introduction. However, it's unclear how things are going to shake out after that. The more high-end Mirage Solo and Vive Focus are on the way, and then Santa Cruz after that. Don't forget Qualcomm's Snapdragon 845 reference headset either, which is set to help power a whole breed of standalone VR headsets. We'll have to wait until later this year to see what headsets will be built off its ideas, but we do know that the Vive Focus was built off the previous generation. Regardless, we're entering a moment when standalone VR headsets are about to get good, and then get even better. You'll be gaming away from a PC for many hours. Are you excited about standalone headsets? Are you waiting for this breakthrough to jump into VR? Let us know in the comments.